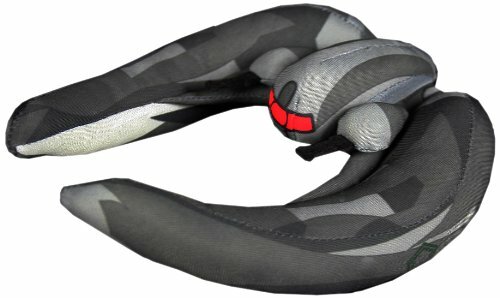 This Stuffed MK II Viper Plush is so cuddly that even the most fearsome Colonial Warrior or Cylon Centurion will want to hug it. 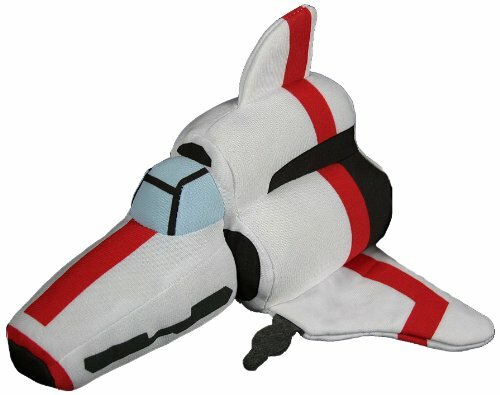 Made in a chibi-style, this plush replica of the agile Mk II Colonial Viper features the iconic red and white paint job from the original series. In the war between the survivors of the Twelve Colonies and the Cylons, it’s always good to have formidable fighter craft available, just in case a skirmish or a full-on battle breaks out. Measuring about 8 inches long, it fits perfectly on your desk or shelf and is always ready to scramble and protect your Battlestar (or desk or home) from a Cylon raider attack. These very cool plush replicas are made of all-new polyester fibers and are surface washable. Zoom-zoom! Pew-pew! Add your own sound effects and fly them around the office. Dimensions: 8 x 7 x 5 inches. Do not machine wash. Clean with damp cloth only. Defend your Battlestar with cuteness and cuddles.